Fits pretty much any pole, deters both squirrels and raccoons! 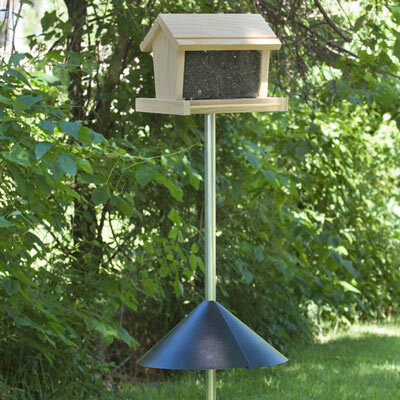 Constructed out of textured powder-coated steel, this black pole baffle is designed to discourage both squirrels and raccoons. Easily mounts to any 1/2" to 1-3/8" pole without removing the bird feeder. Made of metal, so it's chew proof and will last for years! Secure black coupler included. 5.5"H x 18"W.